We have heard for years now that the wealthy and corporations need their tax cuts because without them jobs will not be created and the economy could fall back into recession. I guess I first heard of this concept during the Reagan years with the so-called “trickle down” economics. 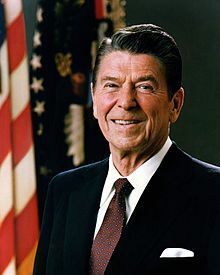 The claim that economic benefits and improvements trickle down from the very wealthy to the middle class and the poor was one that helped ride Reagan into office and continues to be claimed by some as the way out of recession. Indeed, the Republicans, since the George W. Bush administration have been insistent that the tax cuts for the wealthy are the key to promote increased employment for the country. This entry was posted in Uncategorized on September 10, 2012 by lordgriggs. Pres. Reagan was a big-spending con-job-servative! However, he spend more than necessary on the military, which wasn’t as much a stimulus as other ways. Be skeptical about such voo-doo!